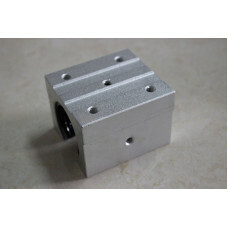 The offer is for 2 pcs of SBR20-48inches supported rails plus 4 pcs of SBR20UU bearing blocks. .. 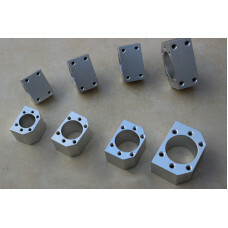 The offer is for 3pcs ballscrew nut housings, nut brackets (MADE OF STEEL) for RM1605,1610 Flan..
1.USE TBI PRECISION BALLSCREW 2.1PCS 42-48 0.4NM/ 0.9NM 57-5 (defult) motor.. 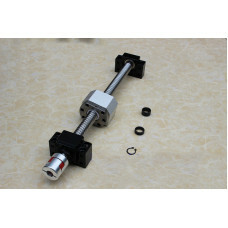 The offer is for 1 sets/pairs of ballscrew end supports BK/BF10(1 pc BK10+1pc BF10) Ple.. 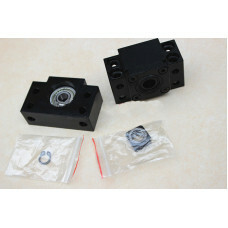 The offer is for 1 sets/pairs of ballscrew end supports BK/BF12(1 pc BK12+1pc BF12) Ple.. 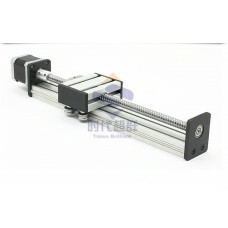 The offer is for 1 sets/pairs of ballscrew end supports BK/BF25(1 pc BK25+1pc BF25) Ple.. Blocks with linear bearings Aluminum carriage SBR12/13/16/20/25/30/35/40/50UU ..
2pcs/lot RepRap 3D Printer THSL-300-8D Lead Screw Dia 8MM Thread Pitch 8mm Length 300mm with Updated.. 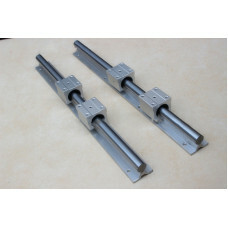 The offer is for 2 pcs of supported rails SBR12-700mm with 4pcs of linear bearing blocks SBR12UU as .. Product Description: Screw type The first two numbers indicate the diameter, the last two numbers ..